Protection for your vehicle against everyday spills and accidents, nothing matches with the Patented MAXpider® 3D Universal Polypropylene Tufted (PP) carpet. The innovative 3D designed floor mats provides a barrier between the carpet and the never ending dirt, spills, grease, mud and possible snow that comes from life's everyday chores. Whether you are going on busniess trips, leisure, recreational activities, etc with adults, kids and pets alike, your vehicles interior will now be protected against unwanted dirt and spills. Constructed from an advanced, three layer design, 3D Patented MAXpider® Universal Polypropylene Tufted (PP) carpet provides absolute grip on the carpet that makes it unique. With the innovative three layer structure, the surface layer is made out of Polypropylene Tufted (PP) Carpet, providing the surface with high quality, softness, comfort and durability. The second layer uses XPE material to provide waterproof, sound insulation and shock absorption. The bottom layer utilizes Patented MAXpider® anti-skid fibers so the floor mats remains firmly in place and provides the ultimate safety. PP tufted carpet that gives the surface a high quality,softness, comfort and durability. 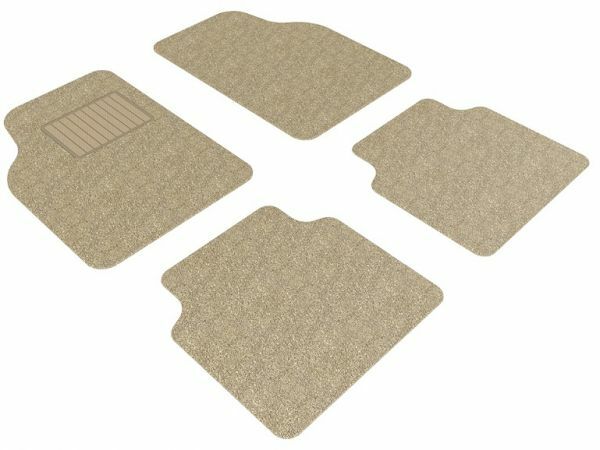 MAXpider® anti-skid fibers so the floor mats remains firmly in place and provides the ultimate safety.